Complete The Quote Request Form In the Right Panel Today!! In an informal survey of insurance professionals in Florida, the Medicare Supplement Plan F High Deductible was voted as the plan most professionals will or have chosen for their own Medicare Supplement. Yet, in a startling admission, most agents also confessed that they do not show this plan to their clients because it has too low a commission payout. Our role as our clients advisor is to show all the options, not just some. Then share our knowledge and three decades of experience to highlight the pros and cons of your choices so that you can make an informed decision guided by our knowledge and thirty-one years of experience. We offer ALL Medicare Supplement plans from all the major carriers so we can provide you unbiased advice. For those who like to read the details, check out our blog post on Medigap Plan F High Deductible. It doesn’t matter if you are 65 or 75, your annual savings with a Medigap Plan F High Deductible will likely be in the thousands of dollars per year. 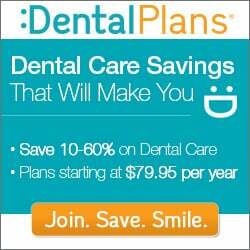 From a premium vs. benefit perspective, Florida Medigap Plan F High Deductible can’t be beat. Remember, because this is a Medicare Supplement plan, Medicare still pays 80% of your medical bills FIRST after your Medicare Part B or Part A deductible. You are not paying the first $2,180 of medical expenses. Considering your maximum annual out-of-pocket expense is approximately equal to the annual premium of a regular Medigap Plan F, the worst case scenario still puts you ahead! To find out how much a Plan F High Deductible will cost you, complete the free Online Quote Request below. We will even show you the best prices available to you on all the most popular Medicare Supplement Plans. You can also call us at 800-847-9680 extension #2. We will be happy to answer your questions.